Valeros is a good-hearted former mercenary whose longing for adventure convinced him to flee an arranged betrothal to a farmer's daughter. He is famous for his two swords, his love of strong drink, and his appreciation of pretty women. Would you like to learn more about Valeros, the Iconic Fighter? 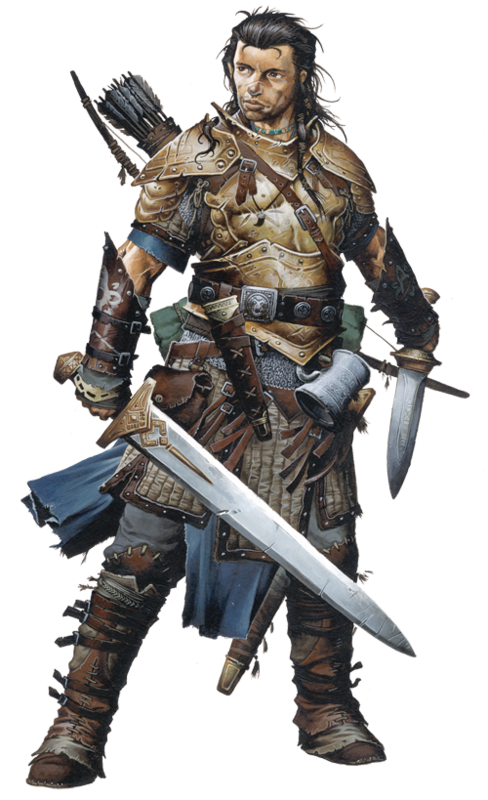 Read his Meet the Iconics entry over at the Paizo blog, or any of the other blog posts that mention him!